Item # 308845 Stash Points: 8,495 (?) This is the number of points you get in The Zumiez Stash for purchasing this item. Stash points are redeemable for exclusive rewards only available to Zumiez Stash members. To redeem your points check out the rewards catalog on thestash.zumiez.com. 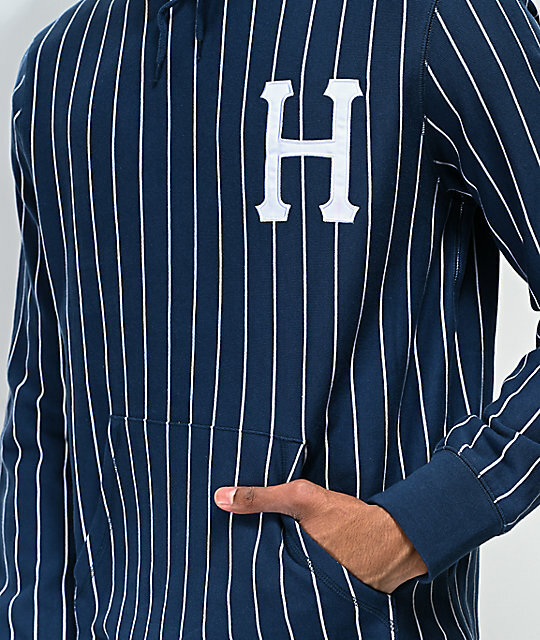 Baseball-inspired and featured with a classic two-toned colorway, HUF's League Navy and White Pinstriped Hoodie offers a bold look in an overall cozy pullover silhouette. 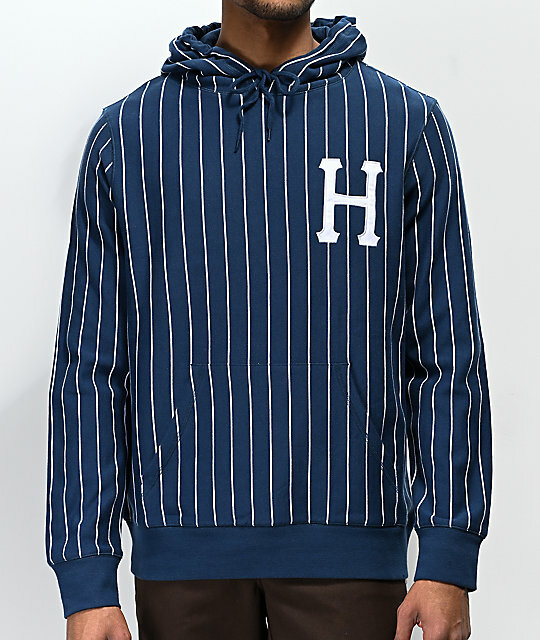 HUF branding is located on the left chest and upon the hood, while the allover pinstripe pattern creates a striking aesthetic. 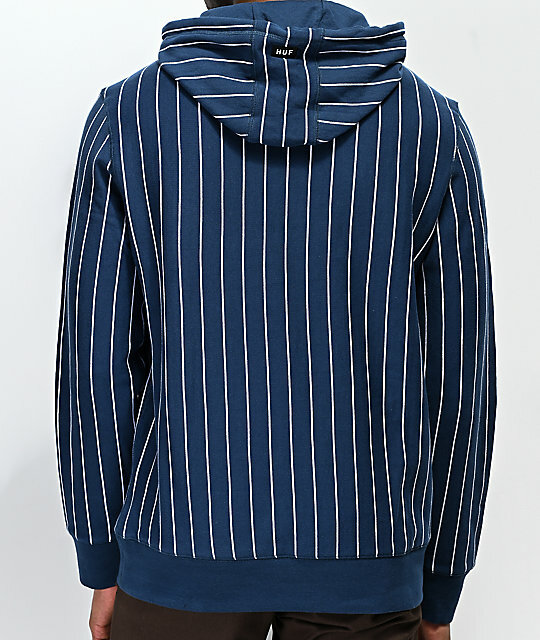 League Navy and White Striped Hoodie from HUF. Adjustable drawstring hood with embroidered logo on top. 29" (74cm) from top shoulder seam to bottom hem on youth size Large.